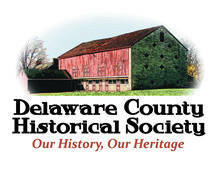 The Delaware County Historical Society will present the “Band at the Barn” at 7 p.m. on Thursday, Aug. 16, at the Meeker Homestead, 2690 Stratford Road, Delaware. The Delaware Community Concert Band, under the direction of Anne Brandyberry, will perform a variety of selections, including music from “The Lord of the Rings,” and a medley of tunes by The Doors, led by band members serving as guest conductors. Weather permitting, the concert will be held on the grounds of the Meeker property. Folding chairs will be available, but attendees are welcome to bring lawn chairs or blankets. In case of inclement weather, the band will perform inside. Submitted by the Delaware County Historical Society.